Brand New Trampoline Park opens tomorrow in Omaha!!! 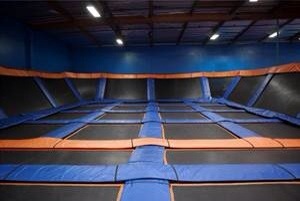 Check out this New Trampoline Park off of 132nd in Southwest Omaha!! Sky Zone Indoor Trampoline Park (www.skyzone.com) is the creator of the world’s first all-trampoline, walled playing court which allows people to literally bounce off the walls. Sky Zone offers the ultimate gravity defying experience enjoyed by all ages, shapes and sizes! Sky Zone Omaha’s (www.skyzone.com/omaha) brand new 26,000 square foot facility includes Open Jump, Ultimate Dodgeball courts, a SkySlam Basketball court, SkyRobics Fitness classes, Foam Zone and more. Sky Zone is available for every kind of outing including birthday parties, dodgeball tournaments, workout classes, fundraising events, corporate team building and memorable class field trips. 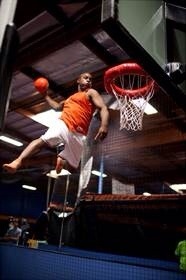 Sky Zone currently has over 65 locations across the US, in Canada, Mexico and Australia. The new Sky Zone Omaha is located at 4215 S. 133rd Street, Omaha, NE 68137. Operation hours are Tuesday – Thursday from 12pm – 9pm, Friday 12pm – 10pm, Sky Mania (middle school ages) from 8pm – 10pm, Saturday from 10am – 11pm, Sky Jam (ages 16+) from 9pm – 11pm and Sunday from 12pm – 6pm. 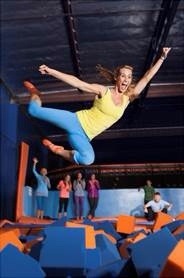 For more information on Sky Zone Omaha, please visit http://www.skyzone.com/omaha or call (402) 401-7600. Next Next post: Happy 4th of July!! !